I get asked this question a lot – both by single moms and by those that don’t have children of their own. At first, I really couldn’t come up with an answer because why would dating a single dad be any different than dating anyone else? Of course, the longer I’ve been a single dad the more I realize there definitely are differences to dating single parents – some very big ones that may not be obvious to everyone. I decided, after some thought on the subject, to write this article on tips for dating single dads (and single moms). Don’t move too fast in the relationship when dating a single dad or mom. Single parents have more than just themselves to consider when in a relationship. As a single without children, you can sometimes throw caution to the wind. Sell all your stuff, join the peace corps and move to India. Why not? Put your stuff in storage, have granny watch your cat and backpack Europe for two months. However, when dating a single dad or single mom, it’s best to take things a bit more slowly and deliberately. After all, when children are involved, it’s not just your date that gets hurt if the relationship doesn’t work out. ...as a single dad or single mom it’s best to take things a bit more slowly and deliberately. Patience when dating as a single dad or single mom is key. Rushing into a relationship is rarely a good choice, but especially when you're a single parent. Yes, children are resilient by nature, but that doesn't make it okay to rush into dating. If you're a single parent - take your time; think of your own needs and those of your child. Is your dating life a "revolving door" do your child? How long has it been since you last introduced someone to your child? Be honest - are you spending more time dating or with your child? Consider your own answers to the above questions and how your dating life is impacting the lives of your children. It's perfectly okay to want to be happy, but it's not okay to be selfish about it. This tip applies to both sides of the single dad dating equation. As someone dating a single dad, you shouldn’t push too hard to meet your guy's child(ren). Meeting the children is a big step for any single parent, so be sure not to take it lightly. When you are ready, approach the subject with an open frame of mind and express to your single dad that you’re ready when ever he’s ready. Let him know that you’ve been thinking about meeting the most important people in his life but that you’re also willing to do it on their terms. As a dating dad, you should exercise patience when introducing your children to the person you’re dating. Dating isn’t a race and children don’t understand people coming and going from their lives. Introducing them to people that are only around for a brief period of time in their (and your) lives will only create instability and instability is universally unhealthy for children of all ages. Do you love kids? Ok, do you at least really like them? Do their smiles make you smile and their giggles make you laugh? Let's be honest, if you don’t like children then you probably shouldn’t be dating a single dad. I can see some definite up-sides to dating a single parent. Most single parents rate high in areas like maturity, stability and experience (take that as what you will) and those qualities carry over into their love lives as well. Dating single parents just isn’t for everyone, so if you’re really not interested in playing a large role in a child’s life, just be honest with yourself and your single dad and bow out (gracefully) to someone that will appreciate all they have to offer. Kids say the darndest things - and so can parents! Having a sense of humor when dating a single parent is a very handy quality to have. Single parents may be accustomed to interacting with their children and can require an adjustment period when transitioning to speaking with (real, actual) adults from time to time. What do you think? 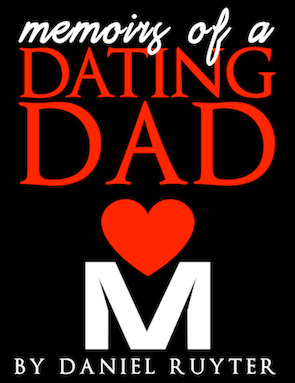 Do you have any tips for dating single dads or single moms? Be sure to leave a comment below!